EDIT: So I forgot to mention, the reason for this commission was that the collector is attending a signing for the release of Mr. Henriksen's biography (official website), which is being released this week to honor Mr. Henriksen's birthday on the 5th. So happy birthday Sir and many more. Here is a drawing commission I recently finish for a collector. I enjoy Mr. Henriksen's work quite a bit, and thought his "look" fit well with my style, so I had a lot of fun with this one. splendid! This one is really exceptional, great stuff! 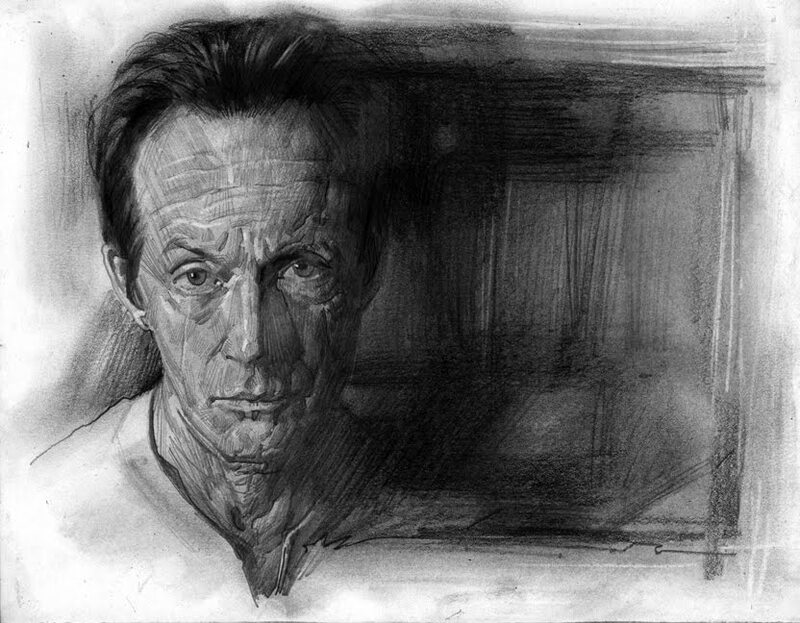 Would you mind if I featured this drawing later in the week as part of a blogathon celebrating Lance's birthday and the publication of his book? Joe, feel free with the requisite credit and link of course.